Mirador, Mirador, Which Is The Fairest Of Them All? We have already talked about the many chapels that litter the landscape of La Gomera, but you are sure to notice an abundance of something else all over the island. 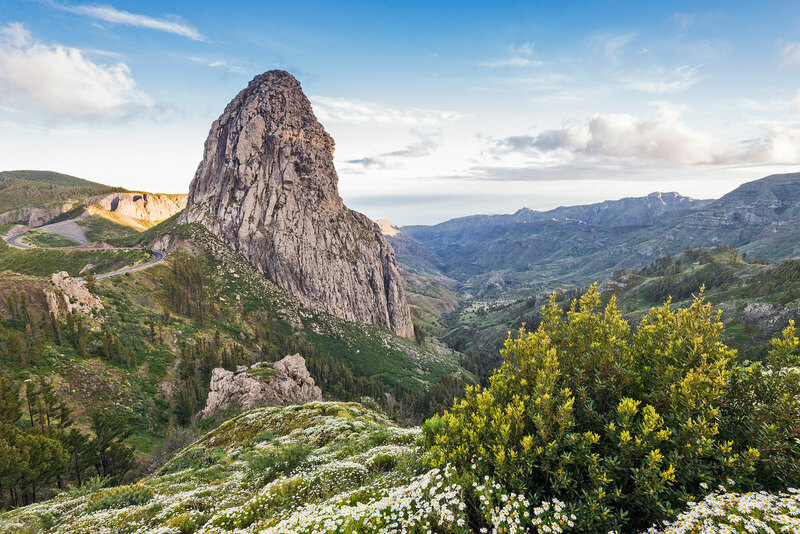 Known as ‘miradors’ in Spanish, La Gomera is like one big vantage point from which you can enjoy views out to sea, of the neighbouring islands and of the fantastic natural landscapes all around. These miradors are ideal for photo opportunities or a simple moment of reflection. Here are some of the most striking examples. This viewpoint is situated on the side of the GM-2 road, one of the main routes right across the island. The main focus point is Roque de Agando, the largest of five volcanic rock sculptures that have been crafted over millions of years of erosion. This spot offers the best views of Agando and, on a clear day, you can also look behind at Mount Teide over on Tenerife. 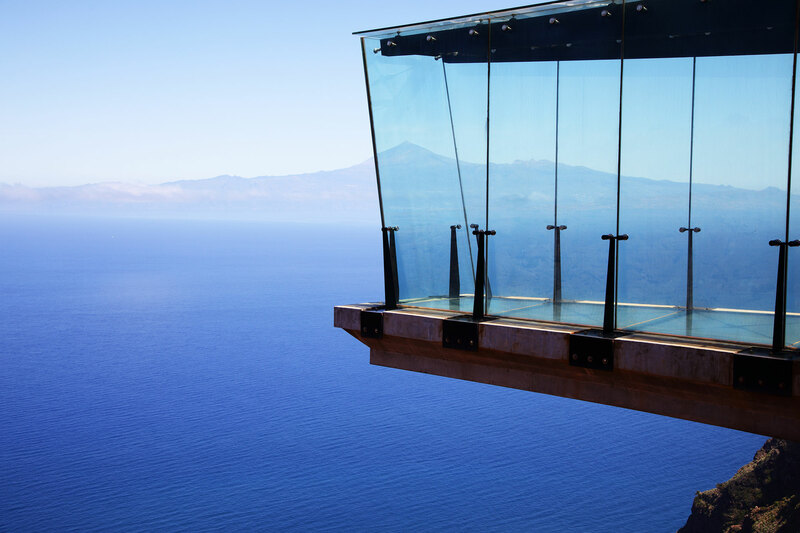 This is probably the most famous observation deck on La Gomera, largely due to the fact that a glass, panoramic walkway has been installed to help people make the most of the views. Situated close to the north coast, this high vantage point provides fantastic vistas of the Atlantic Ocean and the neighbouring islands. If you are brave enough, you can walk out along the overhang, across the glass floor. Another viewpoint which focuses on the dramatic volcanic rocks, this one allows for views of all five Roques. There are always buses parked on the side of the road here, as everyone scrambles to get the best picture. Pick a moment after they are gone and you will be left with the tranquillity of the island and these magnificent natural monuments to admire. Situated on the main road from San Sebastian (where the ferry docks) to the Hotel Jardín Tecina, you could easily miss this observation area if you weren’t paying attention. 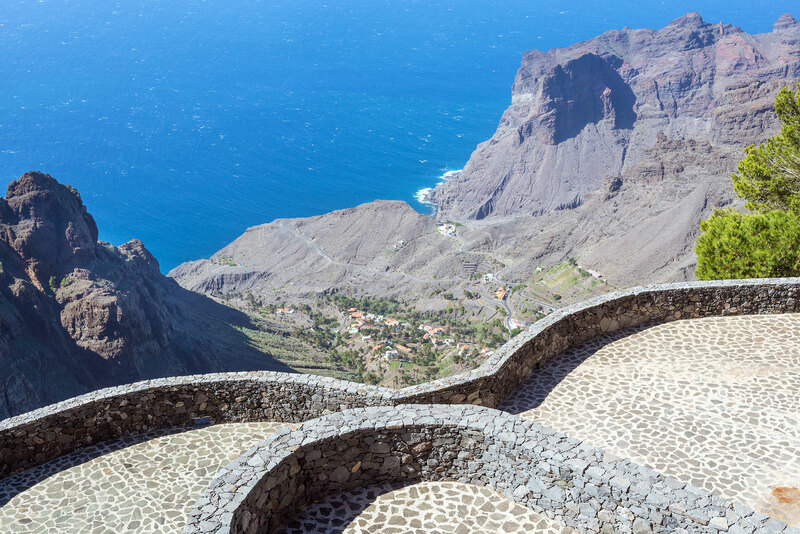 Pull into the lay-by at the side of the road and marvel at the aerial views of La Gomera’s capital, which you left only moments ago. This is also another place where you can look out across the beautiful, blue ocean. 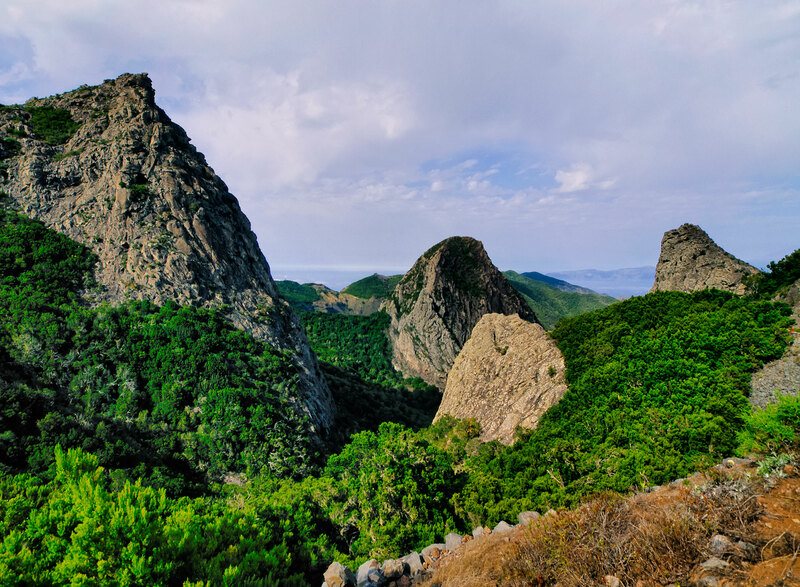 Situated close to the chapel of the same name, this panorama point is all about the contrasting colours for which La Gomera is famous. It’s captivating to see where the green of the flora in the valley meets with grey of the volcanic rocks that make up the gorge and the azure blue of the sea. The orange-roofed houses in the town of Taguluche can be seen dotted amongst the trees, as if they’ve been added by the artist during his final flourish. 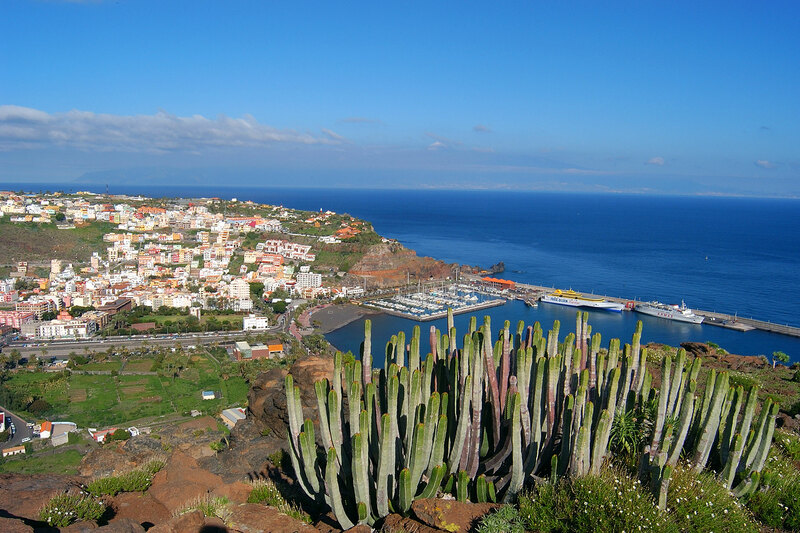 There are so many other miradors to look out for when exploring La Gomera. Whether you head off on foot or in the car, you are sure to uncover some amazing viewpoints that make you feel like you’ve stepped into another world. To book your stay at the Hotel Jardín Tecina, call our team on 0800 035 0704.